This year, we are celebrating the 60th anniversary of the Grotto becoming a national shrine. For 60 years, Mary’s comforting assistance has been available to you, me and hundreds of thousands of visitors. However, now more than ever, our families need the Mother of God. ​While reflecting on this anniversary, we recognize it is our mission to continue to grow awareness of Our Lady, for our loved ones who are searching for peace of soul and consolation during times of affliction. Rev. 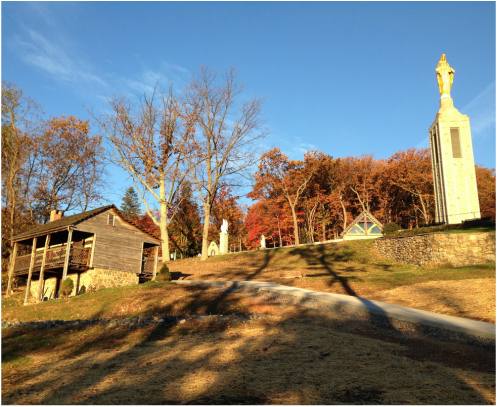 John DuBois loved St. Mary’s Mountain. He found, high on this mountain, amid the wild flowers, a stream divided and flowed around a great oak where a recessed grotto had formed under the trunk. Here, he erected a rude cross, a symbol of the holy work he was undertaking. This was the original Grotto. 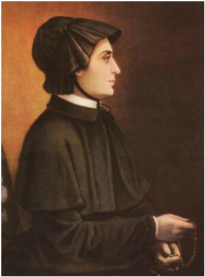 He built St. Mary’s Chapel on the Hill church in 1806 on the site of the present Pangborn Memorial Campanile and founded St. Mary’s College and Seminary in 1808. He later became Bishop of New York. 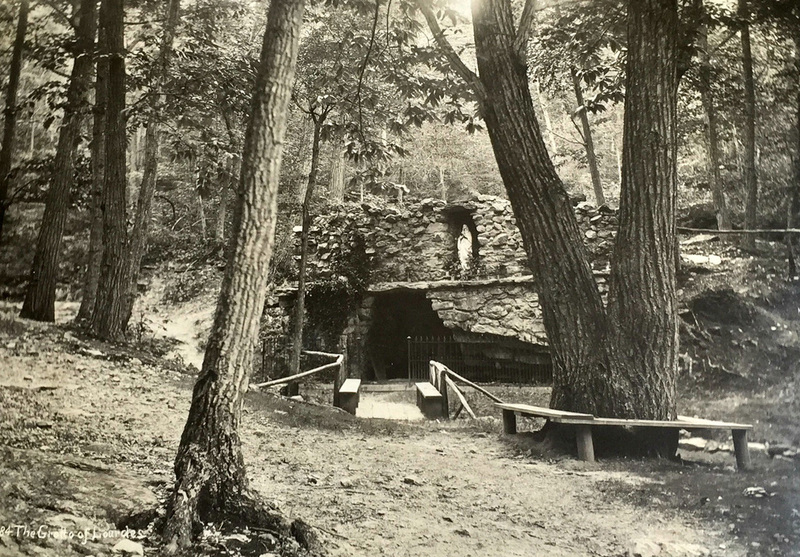 Until 1958, the Grotto of Our Lady of Lourdes was merely a secluded, but very special corner of campus, know to Mount St. Mary’s students, seminarians and rarely visited by outsiders. 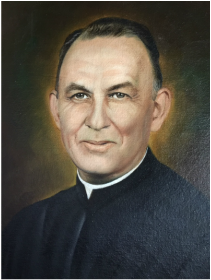 Monsignor Phillips was appointed director of the National Shrine Grotto of Lourdes in 1958, and was named Grotto Chaplain by the Archdiocese of Baltimore when it was proclaimed a Public Oratory and National Shrine. After completely refurbishing the shrine, he opened it to the public. He was responsible for further enhancing the Grotto with the handsome Pangborn Memorial Campanile crowned with a 25-foot, gold-leafed bronze figure of the Virgin Mary, and other significant statuary monuments throughout the Grotto grounds. ​The Pangborn Campanile, which has become a regional landmark, was built in 1964. St. Mary’s Chapel on the Hill opened in 1976. Miller Family Visitors Center opened in 2013.